If you've noticed Pebble sending out emails every month reminding you to update your Pebble Time Round, or whatever Pebble you have, know that it's very intentional. Whether that's changes the in-house team wants implemented or receiving feedback from users, the company will keep a steady stream of updates happening to make sure you have the best experience possible. Jacob Surber, Pebble's senior product manager sat down and told us a bit more about the company's process behind updates and what else you can expect in the coming months. 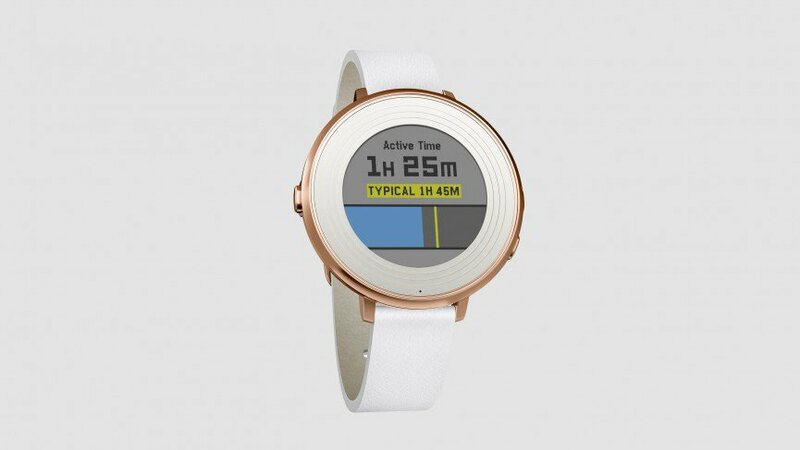 Pebble Health has been one of the biggest features released for the watches. With its introduction last December, native step, distance, time spent active and sleep tracking have been integrated - and now it's all more accurate than ever thanks to what else, a recent update. "When we launched Health in December, that was an entirely new piece of functionality that got out to all our users in one fell swoop. That's the kind of thing we're going to continue to do. "We've kept a constant pace of (update) releases, it's about every month. Our release cycles are built towards having essentially a monthly release. We see that as how we can present an ongoing value to our customers. I think that's one of the hallmarks of Pebble - the constant improvements to new areas." Surber thinks the latest Pebble price drop certainly helps motivate users to be more active too. In addition to reaching a wider, global market, more people are able to pick a Pebble with the lower cost. This in turn, will hopefully push the Health platform forward, getting folks more involved in fitness and living healthier lifestyles. "On the price drop side, it just starts to make sense. Price drops are a cycle in consumer electronics but with our focus on price drop and Health coming into the spring, I think we're going to see a lot of people picking up the device for fitness reasons. With Pebble Time being waterproof and the silicon strap - (it's) great for running, great for swimming. You can get out and do a lot more activities." The last update saw a slew of improvements for iOS users and a handful for Android though most features, like notification filtering, were already available for Android. In the future, there'll be a slow rollout of more jumbo sized emojis, which Surber says were included for fun and functional purposes. "Through the entire operating system, we try to have a voice of levity to keep things fun. From a design standpoint, when you get a single emoji on your screen, it's just too small. It was actually annoying a bunch of us so we designed out the top 12, so when you get those, which is quite often, it's just a nice little surprise." Amusement aside, Pebble will be introducing its own native smart alarm next. Right now, there are only third party applications for smart alarms. According to Surber, that should change very soon. "We're also doing things like a smart alarm. We'll monitor your sleep cycles and you can set a window on when to be woken up. There's third party (apps) that do this but they have their own sleep algorithms. I would venture to guess that ours is still pretty good in comparison." A more substantial upgrade is coming in May for the iOS and Android Pebble app that will supplement the Health platform. "It's currently planned for a May release - we're going to update the mobile app and bring in charts, a lot more historical information and a huge overhaul for Health on mobile. It essentially doesn't exist today. Everything people have been asking for - daily, monthly, weekly charts. You're going to be able to see a lot more correlation in your activity." It may not seem like much considering Fitbit and Jawbone already have decent activity charts, but it'll be a huge boon for Pebble wearers. There's also the possibility that Pebble's app will provide more extensive insights and perhaps greater customization in terms of what you want since that's what Pebble is all about. Whatever it will entail, May is coming up quickly so you'll be able to check it out soon. In the meantime, it sounds like the company is pretty excited about the update as Surber stated, "that's going to be a big one."